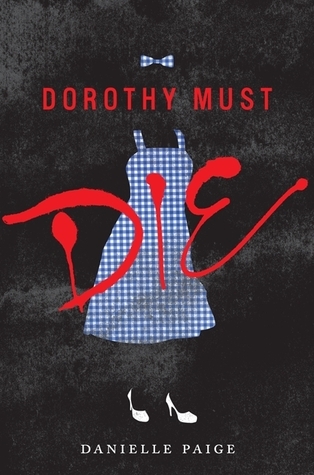 Dorthy Must Die takes the story we all know and enjoyed, The Wizard of Oz and continues it. We have our leading lady, Amy Gumm who starts out in Kansas and winds up in Oz when a tornado takes hold of her trailer. This is where things get a twist, we find out that things did happen like in The Wizard of Oz but Dorthy somehow came back to Oz and managed to take control. Things have gotten bad, she's been mining for magic and everyone is terrified to cross the magic hungry princess Dorthy. Amy winds up traveling along the yellow brick road and meets some interesting characters along the way. Once in the Emerald City though Amy's facing off against the mad scientist scarecrow, the lion that will steal your very essence and the tin man soldier. Things aren't what they seem and Amy has to team up with the wicked witches in hopes to overthrow and kill Dorthy and save Oz once and for all. I love retellings, especially when an author makes the book their own with twists and turns. When I first heard about this series I knew I had to read it, and I'm so glad that it lived up to my expectations. Amy was an enjoyable character and I actually was rooting on the wicked witches, who would have thought that would happen. One of my favorite things about this book is that Amy actually had to work for her powers by training a ton before she was able to harness her magic. I seem to be in a darker type reads right now, this one gets dark on several occasions but I hope there will be a happy ending in the series. If you love retellings and YA I highly suggest you pick this book up! I have seen this book around, but hadn't paid much attention to it. I like darker stories too. 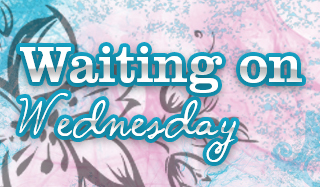 I'll be watching for your reviews of later books in the series. I might have to try it. I'm not a huge fan of retellings. I've had some that I've liked and others that I haven't. I am just always so amazed by how clever people are to even come up with stuff like this.